Creativity matters at every point and as you may wonder what contemporary technology can be adapted for innovative, unique, clear, and user-friendly websites, it is better to know what kind of websites trend in this new year. 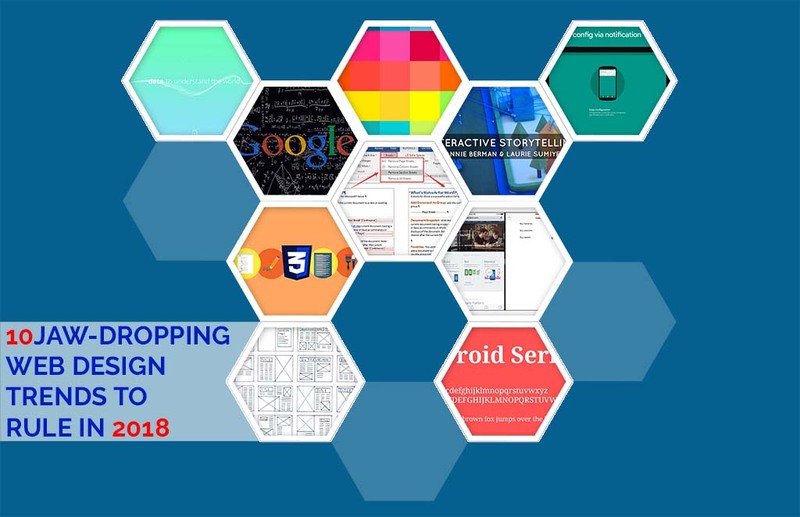 As a leading web designing company in India, we unwrap 2018’s notable website trends suitable for mobile and desktop functionality. Here we go! Currently, web designers are playing around with how horizontal a section break or a line break has to appear by putting it on the edge, literally. By using a sharp diagonal to separate the sections of a website helps to add visual interest and unique website layouts that can enable its separation from other websites that still utilize the actual horizontal break of circa 2014. This 2018 trend is quite sophisticated and alluring in nature. The split screen design requires either one or two images that display on the entire screen and split vertically down the center of the page. Well, as website designers struggle to find every possible way to deliver unique projects, the adoption of storytelling, animation, and the use of videos has just began. In these websites, graphics are expected to change as one keeps on reading the content or watching the video.